It may be the simplest service performed on your vehicle, but it’s also one of the most vital services you need in order to keep your car running efficiently. It’s an oil change, and if you’re overdue for one, now is the time to visit Thomasville Toyota’s service center. We only use Genuine Toyota oil when we perform this service on your car and that helps extend intervals between changes which saves you money. Be sure to check out our monthly service specials if it’s time for your next oil change. We can save you big money on that service and other maintenance items like tire rotations, brake jobs and alignments. Our Georgia auto maintenance facility only uses genuine Toyota OEM (Original Equipment Manufacturer) parts when we perform services like oil changes on your vehicle. That means you are getting the highest grade oil and filter when you bring your car to Thomasville Toyota. Why settle for anything less than the best for you and your vehicle? Schedule your next service with our Toyota auto service facility located at 14724 US 19 South Thomasville, GA 31757. Think of your oil as the blood that keeps the heart of your vehicle (the engine) running. It serves a variety of purposes in this capacity and they are all very important. For starters, due to the incredibly high temperatures that engines reach during operation, they need a cooling agent. Your engine oil serves as this cooling agent and keeps the temperature at safe operating levels. Engines also have many different internal parts that need lubrication in order to continue to run efficiently. This is the second purpose of oil; to serve as a lubricant and keep internal parts moving seamlessly. The final role your engine oil plays in the health of your vehicle is that it serves as a cleaner. During the normal operation of your engine, it creates deposits. These deposits are absorbed by your engine oil so that they don’t build up in your engine. Once your oil has become saturated to the point that it can no longer absorb any more deposits, it’s time for an oil change. Most of today’s vehicles make it easy to identify when it’s time for an oil change with in-car notification alerts. If you don’t have this sort of notification system, be sure to consult a service technician at Thomasville Toyota about what kind of oil change frequency is right for your car. If you are in need of an oil change or any other maintenance item, we invite you to schedule service online at our auto service center. 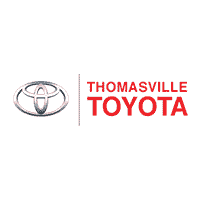 Thomasville Toyota can handle this service and all other maintenance/repair items for your car, truck, van or SUV. Your vehicle is a significant investment, so it makes sense to provide it with the highest level of care so you can rely upon it for years to come. Bring it to our Toyota service facility located at 14724 US 19 South Thomasville, GA 31757. We’re convenient to the Valdosta, GA and Tallahassee, FL areas and will amaze you with our award winning customer service.